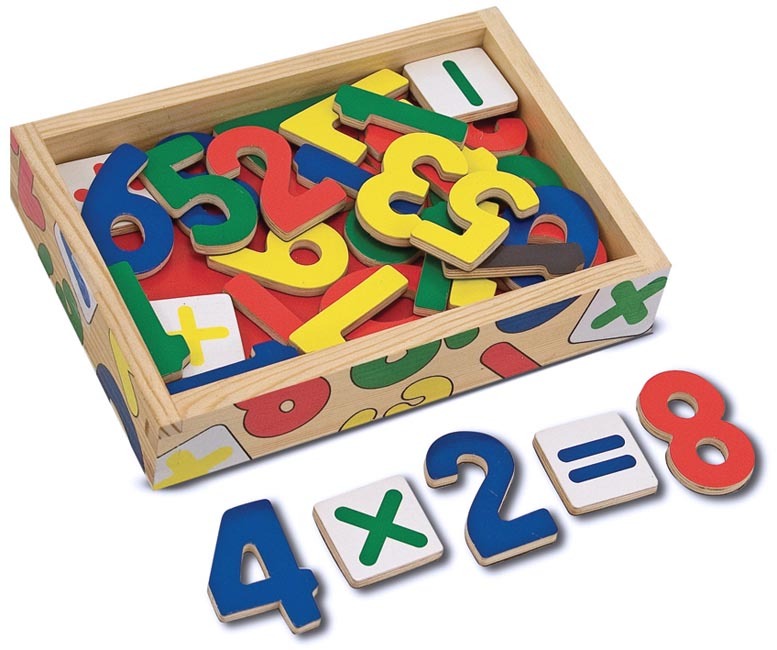 Enough numerals to count from zero through twenty AND five math signs in a convenient wooden case. 37 colorful magnetic pieces can help children learn their numbers and solve basic math problems. Dimensions: 1.5" x 5.5" x 8" Recommended Ages: 3+ years. Contains small parts.